The Kerala author who won the Kendra Sahitya Akademi award for English fiction, talks about his childhood years, being a school dropout and a helpless introvert. 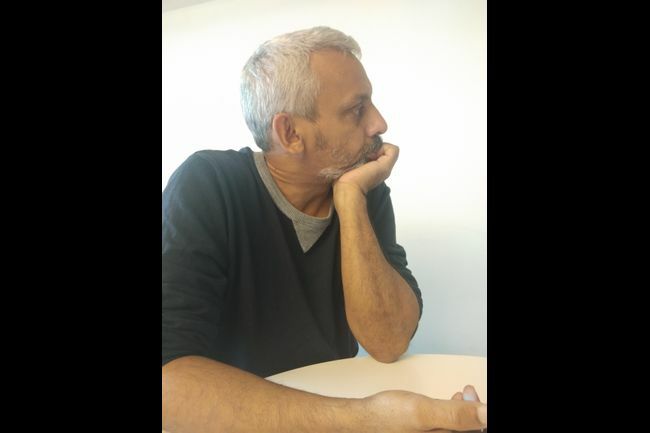 If some of those last words sounded beautiful, it’s because it was written by Anees Salim, the author that Fame (personified) came to meet six years ago and made famous. The imagination, too, is borrowed from his first published book – The Vicks Mango Tree – in 2012. Fame, one of the book's characters Teacher Bhatt thought, would visit him like that one day. A thought young Anees had when he began writing as a boy, reading too many books under the trees at his grandmother’s place in Varkala, Thiruvananthapuram. A couple of decades later, Anees looks back at that boy and his writing, and calls it bad, bad writing. Writing that he would have rejected himself, the author says in an interview over a phone call between Kochi and Thiruvananthapuram. It surprises me that Anees agrees for a telephonic interview. The man is known to be a recluse, an introvert who is so bad at handling crowds and strangers that he doesn't go to award ceremonies to get his awards. But he is proud of the honours nevertheless. 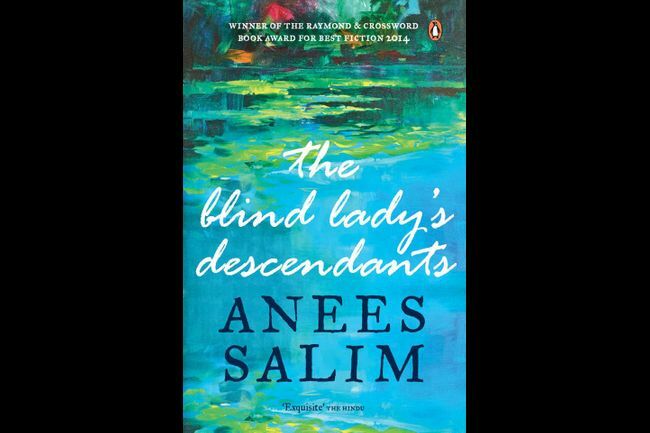 Anees is happy to mention the newest recognition that his latest book The Small Town Sea – the fifth in six years – has got, and the even newer Kendra Sahitya Akademi Award in the English category for his fourth book The Blind Lady’s Descendants. “It was surprising. The book was written a while back, published four years ago. It’s made me happy. I hear I am the only writer from Kerala to win the award in fiction – Kamala Das and Jeet Thayil won it for poetry and Arundhati Roy for her essays. That’s quite something,” he says, with the right amount of pauses. I am still surprised that I'm speaking to this writer, after years of email interviews that he had always preferred. Most of his interviews that came with the Blind Lady winning the award spoke largely about these very endearing traits. “I have always been like this,” he says, perhaps for the dozenth time this week. “I have a serious aversion to being seen and spoken to by strangers. I don’t have a website. Social media – my agent said I need to have. So I started one (account), to help me promote my books.” Anees’s witty one-liners on Facebook are a treat for his many friends and followers. But it was with another name that he began his Facebook life - Hasina Mansoor. The protagonist of the first of his books that would be accepted by a publisher. It is as Hasina that he wrote to Kanishka Gupta, a literary agent, to pitch the book Tales from a Vending Machine. Kanishka wrote back immediately, asking for the whole manuscript. In two hours, he finished the book and forwarded it to HarperCollins the next working day. The publisher then wanted more of Anees’s manuscripts. So one of the two rejected books that had been with him for many sad years went to HarperCollins. 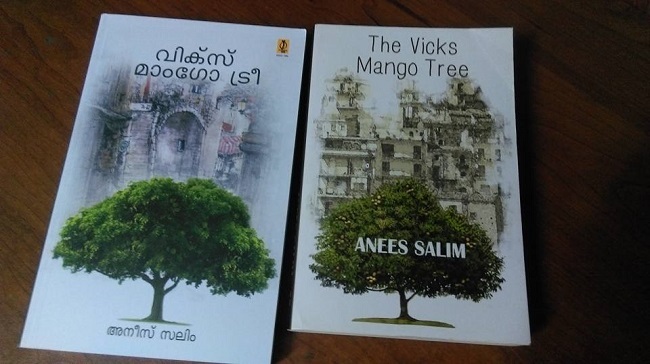 The Vicks Mango Tree with its fame loving Teacher Bhatt got published. But, it would still take a year for fame to actually knock on Anees’s doors. This first book that he took years to write – “six drafts and as many years” – stayed on the shelves of book shops and libraries, a little too unnoticed. Anees reckons there was hardly a review or two. But then, the year after that, The Hindu honoured him with a literary award, and the grip of Fame’s hands on his shoulders was suddenly firmer. “If you are talking about getting a break, that was my turning point. That made people look at me seriously,” he says. His relatives too perhaps took him more seriously, he says, when I ask him how has life changed after fame touched it. The Small Town Sea has a child protagonist visiting an ancestral home in a place that Anees doesn't name but you know is Varkala, where he spent his largely lonely childhood. You wonder if the autobiographical bits come in the child or his father, called Vaapa, in the book. Anees breaks the suspense for you by writing in the last pages, that he borrowed the voice of his son for the child protagonist, who too goes unnamed. So Anees’s bits come in Vaapa, the man who rents a lodge to write his books. Anees rents a hotel to write, but much further away from home, as far as another country. He travels to a country with a first draft, chooses a town or a city, roams around and then locks himself up in the hotel room and works for 16 or more hours a day, writing, rewriting for a whole fortnight. “I can’t be away for more than that. I have a day job," he says. He is talking about the advertising job he has held for many years, one that he doesn’t really discuss much. It is two different worlds – writing and advertising. Writing is a one man job, advertising is team work. He enjoys that too, he says. “Advertising is probably the only profession I am qualified for,” he says easily. Anees is a school dropout. Even as you hear it for the umpteenth time, you still can’t help going back to his books, reading his lines, and wondering how the heck does he write so well if he is a dropout. That is the privileged or pompous you, thinking only degrees can bring knowledge or make anyone successful. Anees didn’t need degrees and he was not afraid to quit something he was the least interested in. He was bad at studies, so he stopped, he says, like it is one of the easiest choices to make in a state that sees a Bachelor’s Degree as a compulsory prerequisite for anything in life – job, marriage or just living the rest of your years. No, Anees could make his books so beautiful because of his father’s famous big library at home. “What really inspired me to write is the smallness of my town and the bigness of my ancestral home. When I grew up, it was kind of lonely there. I was the youngest child and a town like Varkala could offer me nothing. I knew there was a beautiful beach but at that point in time I was too young to go there alone. I was not an adventurous kid. I stayed home. I read,” he says. He also read at his grandmother's home – the place and the woman who would inspire him to write The Blind Lady’s Descendants. “My grandmother was blind for 15 years, like the blind lady in the book. She used to feel her way about. She used to feel us. Run her fingers over us and say you have lost weight. That stayed with me,” Anees says. The protagonist in the book has three siblings like Anees does – two sisters and a brother. But it is only these last two books – The Blind Lady’s Descendants and The Small Town Sea – that he sets in his small town, Varkala. The first two – The Vicks Mango Tree and Vanity Bagh (the book he mentioned as his favourite in another interview) – are set in an imaginary land called Mangobagh. Vicks was about the Emergency period, the rear end of the '70s, but Anees wanted to write more about the people who lived through it than the politics of it. Vanity Bagh, about a gangster group getting formed in a mohalla called Vanity Bagh and the protagonist writing the stories of the gang from a jail he ends up in, is what probably defined him as a writer, Anees says. In order, that was the fourth book he wrote but the second to come out. Blind Lady's was the second book he wrote. He had then received quite a few rejections for Vicks and was thinking of writing another. "That's when the blind lady stepped in. To the best of my knowledge no one had written a book, at least in English, about a Muslim family that's falling apart. I thought that's an area I could cache in on. This is something I know inside out. Probably that's why I could write about it decently well," Anees says. Nearly all his books are centred around Muslim families, except for the first one, but even that has an interesting character called Rabiya. But writing about the religion does not mean Anees is a believer. "I am not a practising Muslim. Like the narrator in the Blind Lady, I am an atheist," he says. But he could use what he experienced, growing up in a Muslim family - like the Quran instructor he had as a teenager who inspired a character in Blind Lady. The third – Hasina Mansoor’s – was his first commercial fiction, he says. Written to be published. Or not, for Anees seems to have got pretty close to its protagonist, carrying her as a sort of alter ego for a long time. “Seeing my Facebook page, (writer) Meena Kandaswamy messaged me, saying, ‘girl, you could write well, if you want to publish, I will help you out’. I wrote back, ‘thank you ma’m, I will send you my story’. She sent me another email saying ‘I googled you up, I know who you are’. A lot of people were misled by my FB account.” Even Kanishka knew only after he accepted the manuscript and asked for Anees’s contact. It is comparatively easier to get published these days, Anees notes. “You can write for the market or you can write without compromise," he says. The way he does is turning down suggestions of his agents while listening to minor edits from his editors. But Anees tells those who really want to write, to read a lot and write a lot, every single day. Again, like he did. Even as he dropped out of school, he did not plan to take up a small job and be satisfied with it. He was ambitious, he says. “I decided I was some kind of genius who could turn out…” and here he pauses. Turn out books like the ones he wrote later, perhaps. 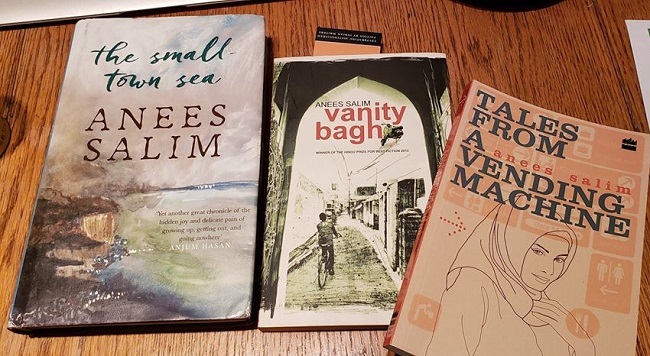 But Anees then goes on to his teen years when he wrote those stories that he now despises, stories in which he imitated the writers he was then reading. Marquez perhaps. Or one of those orange Penguin classics that one side of his dad’s library was filled with. His dad had read that first short story he wrote, the one which was rejected. “He was kind of impressed,” Anees says. But Anees wasn’t. He would discard many half-written drafts suddenly and start fresh. But then he shows these to nobody. After that first story that his dad read, another person to read Anees’s drafts is his agent. Kanishka who read Hasina Mansoor’s story is perhaps one of the first to have that privilege. The new one that he is now writing (and might discard or proceed with) will also be not shared, till it is published and sitting on book shelves, no longer going unnoticed as Vicks was.